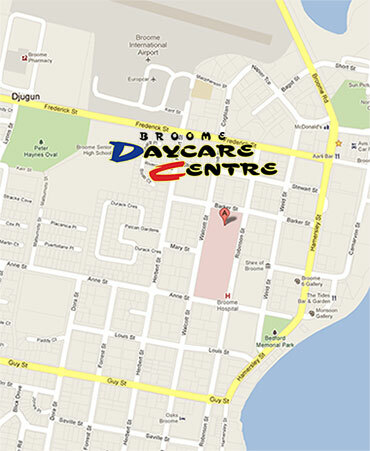 We are located at 17 Barker Street, Broome. We are close to the Central Business District and are within walking distance of the Town Centre. All families are welcome to come and have a look around the Centre. We would be very happy to show you around and to discuss child care placements with you. If you would like more information on our childcare services or would like visit the centre please telephone Barbara, our Director on (08) 91 936 775 who will be happy to arrange a time and answer any queries that you may have.